The smell of fresh rain is nice, but with rain comes run off from the gorgeous Dixie rocks. 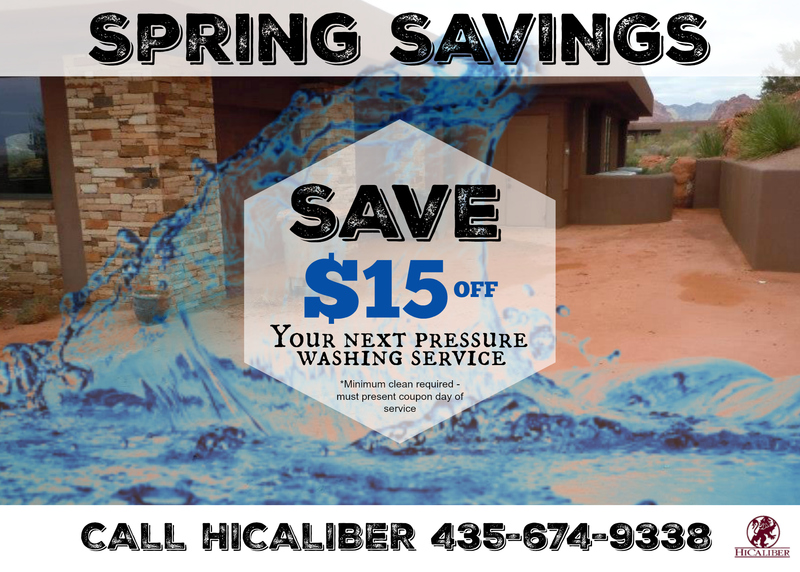 From driveways, sidewalks, exteriors, and parking lots, HiCaliber has your pressure washing needs under control. 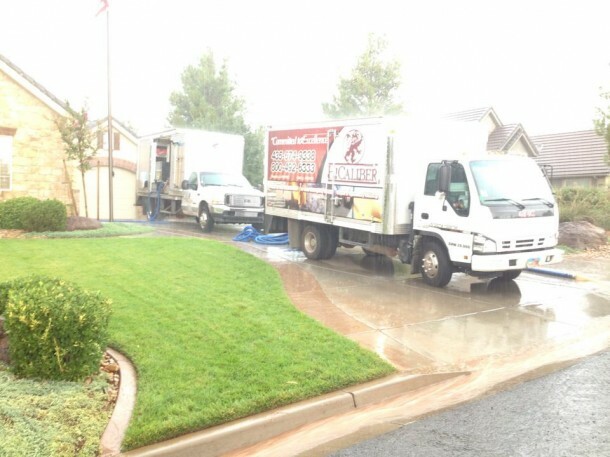 Pressure washing (aka power washing) is an important service to consider when owning a business. You don’t want customers thinking that you don’t take pride in the appearance of your building. 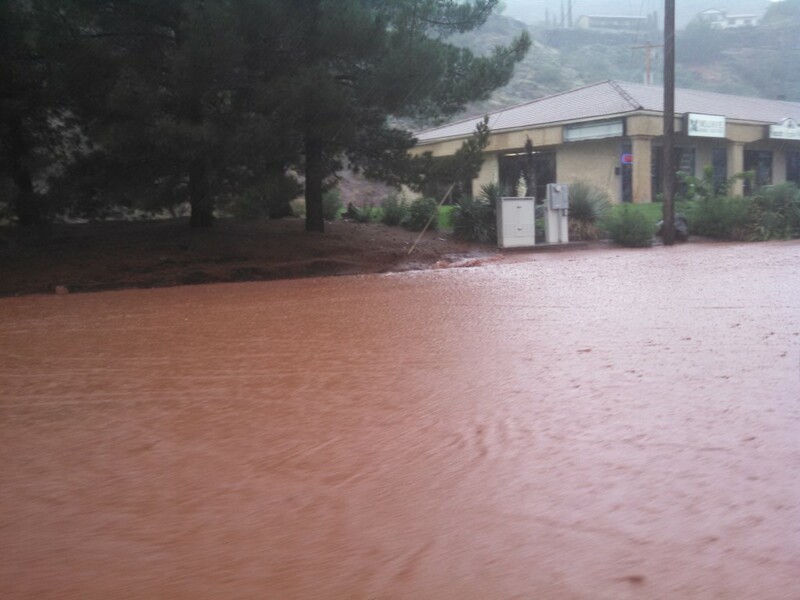 It only takes a little bit of time in southern Utah for the down pour of rain to completely fill the gutters. Depending on where your home/property is located, the gutters can be helpful or harmful. For example, if you have ever driven down Bluff street during a storm, you will notice the red water collecting around the Boulevard and surrounding areas. Once the water makes it way to the storm drain, debris and mud/dirt are left behind. Pressure washing can also be done to prepare a surface for painting, as maintenance on vinyl siding or other building materials, or to improve your home or business’ curb appeal. 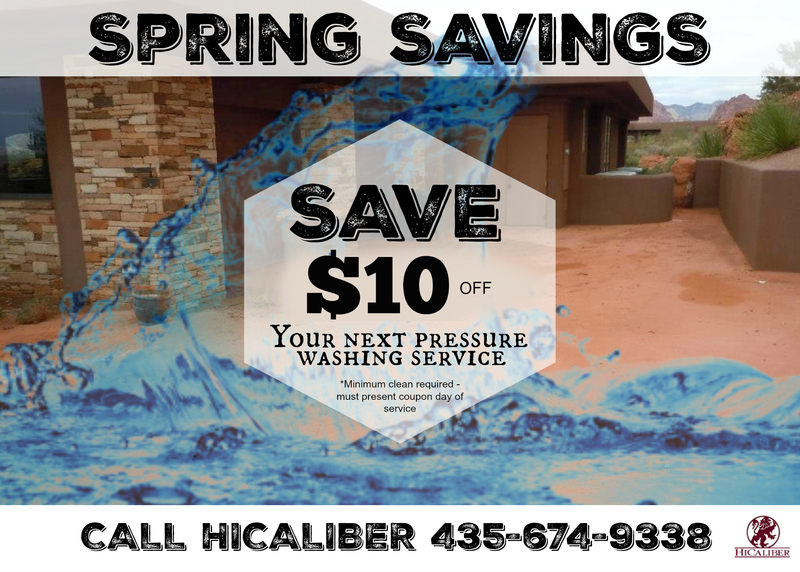 It’s also a great idea to pressure wash advertising signs, awnings, bulldozers, buses, churches, garages, recreational vehicles, restaurant vent hoods, schools, construction equipment, etc. We are among the best when it comes to performing this service, at some of the best rates you’ll find! 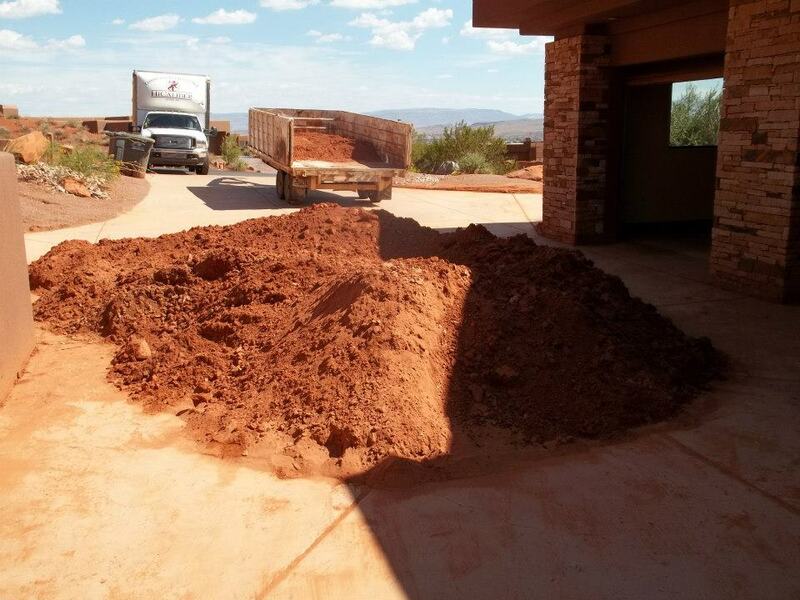 This entry was posted in Commercial, Community, Construction, Disaster, Janitorial Services, News, Pressure Washing, Repairs, Restoration, Special offers..new ads, Uncategorized, Upcoming events, Water Damage. Bookmark the permalink.